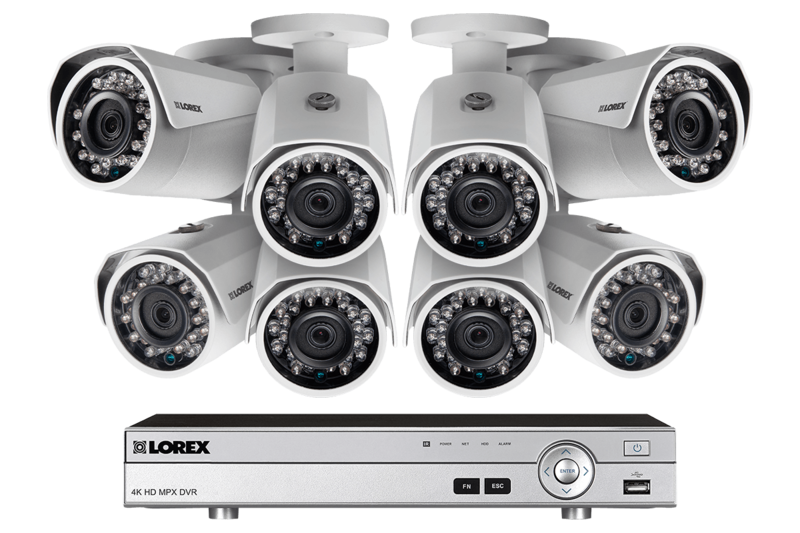 Own a reliable and cost effective professional surveillance solution ideal for your home or business with the MPX88M security system from Lorex. Experience a heightened level of detail and clarity in your surveillance footage thanks to top-quality high definition video. 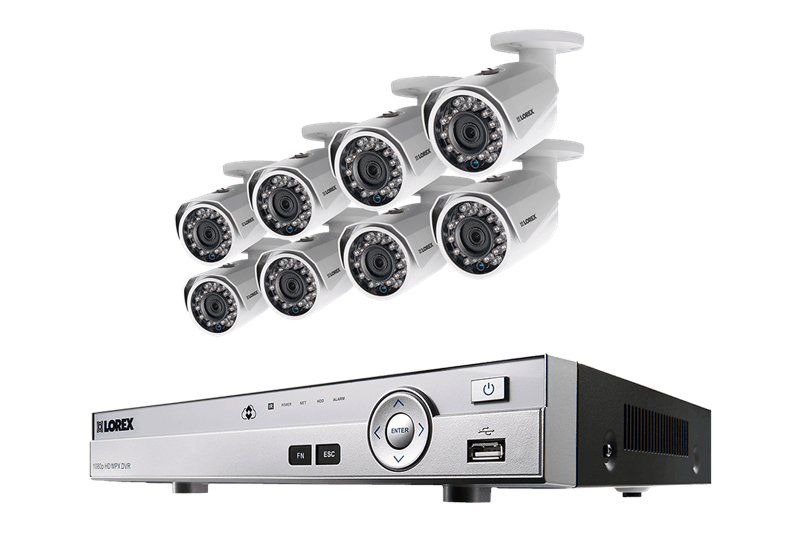 This complete web exclusive security system features our 8-channel DV700 HD digital video recorder (DVR). 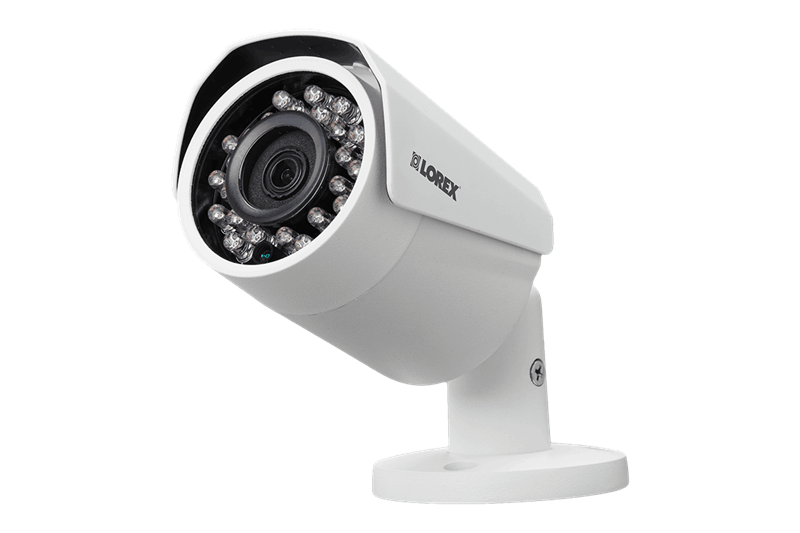 It also comes with eight weatherproof 1080p HD security cameras, with excellent night vision capability. 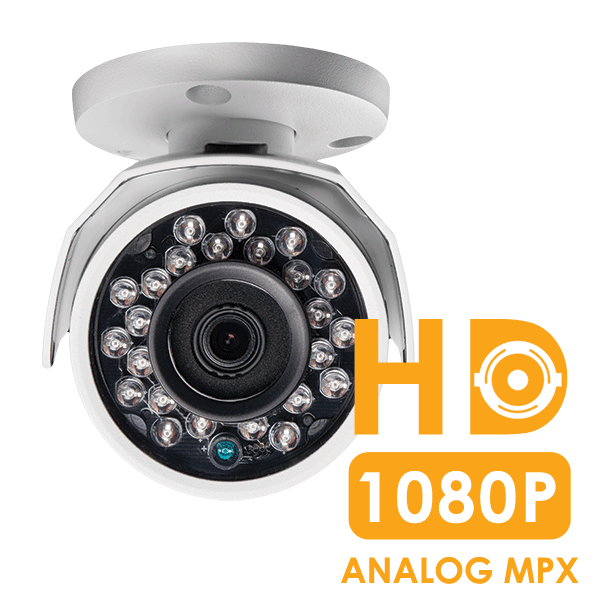 Protect what matters most with 1080p high definition surveillance monitoring. HD quality can be the difference in identifying important details such as faces or license plate numbers. Smooth on-screen movement thanks to the 30 frames-per-second frame rate (in 720p mode) makes sure you never miss a moment. 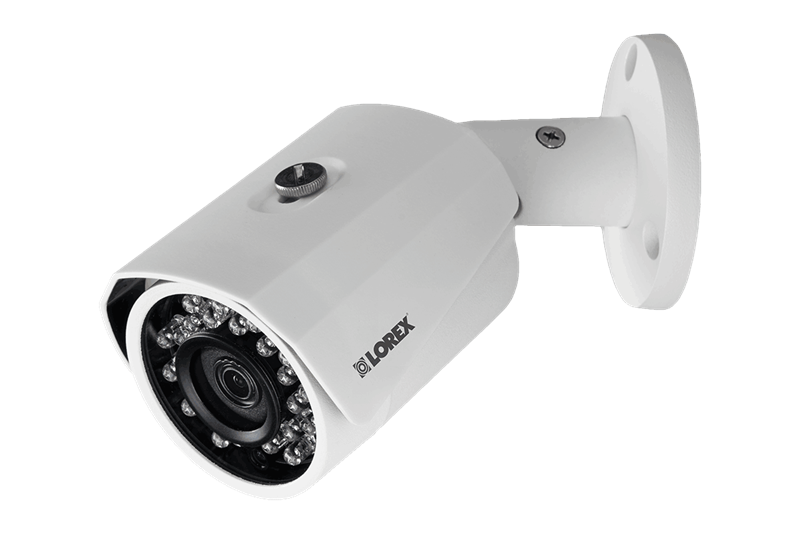 Wide 75° angle lenses from each of the LBV2711B HD bullet security cameras delivers broad video coverage for monitoring large areas. RG59 siamese BNC cabling provides both video and power for a simple connection between your security cameras and DVR. If required, analog HD cameras like the LBV2711B HD security camera can be installed up to 800 feet away from the DVR. This makes them perfect for securing large properties (see documentation for complete details). 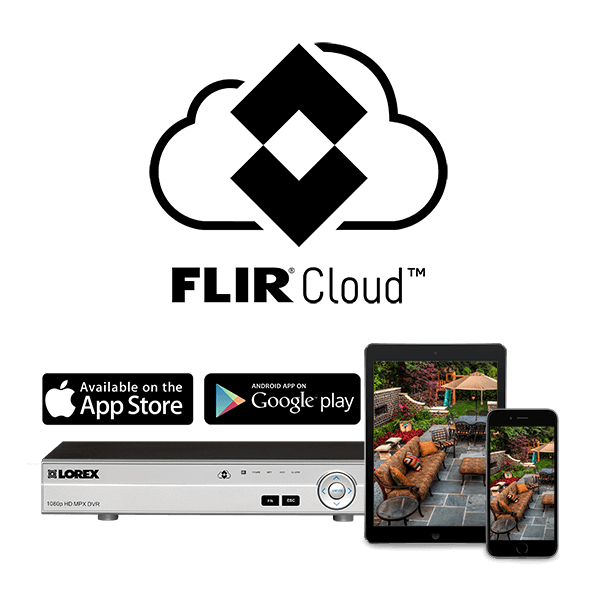 Connect your DVR to our free FLIR Cloud™ app to securely view your security system from your mobile device or desktop computer. See what your cameras see (or watch their recorded footage) from wherever you are in the world. With iOS, Android and PC options, your security system will always be at your fingertips. Customize features like push notifications and instant email alerts for motion-triggered events to ensure you are always connected to your property. Never be left in the dark with your Lorex security system. Capture the details you need throughout the night with cutting edge infrared (IR) LEDs that can see up to 150ft (46m) in ambient lighting and up to 100ft (31m) in total darkness. 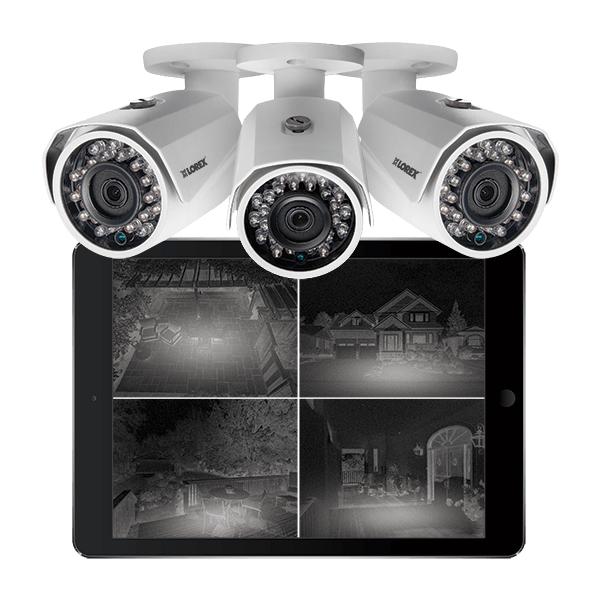 ClearNight imaging delivers superior low light performance and improves recording efficiency. They also feature SmartIR technology that helps with close up recognition of details in the dark. 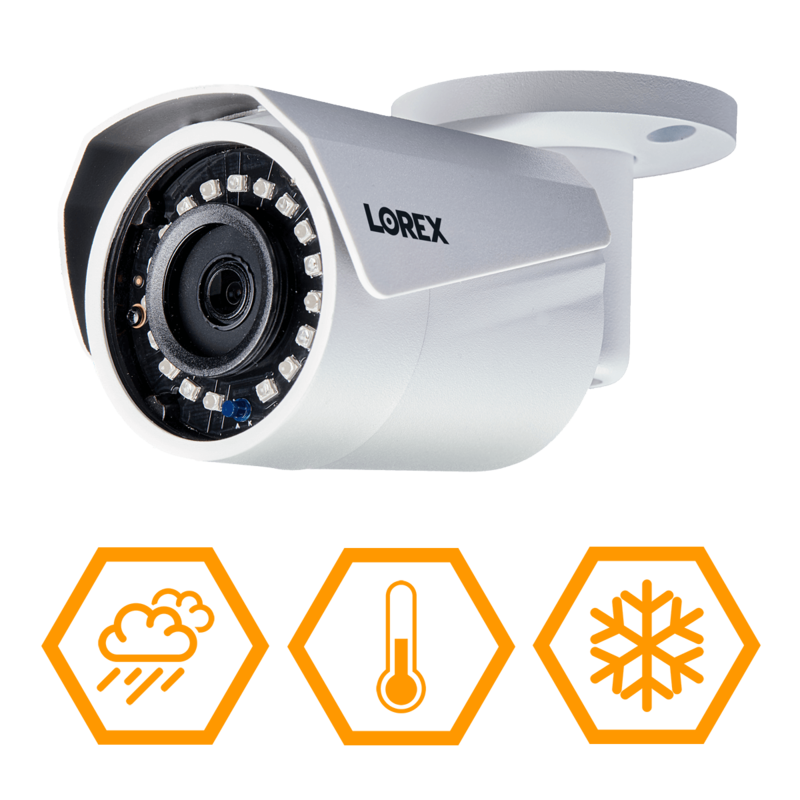 The LBV2711B HD security camera is made to endure the most unforgiving climates. IP66 rated, they are well-suited for both indoor and outdoor applications. Your cameras will continue to operate in extreme temperatures as low as -22°F (-30°C). 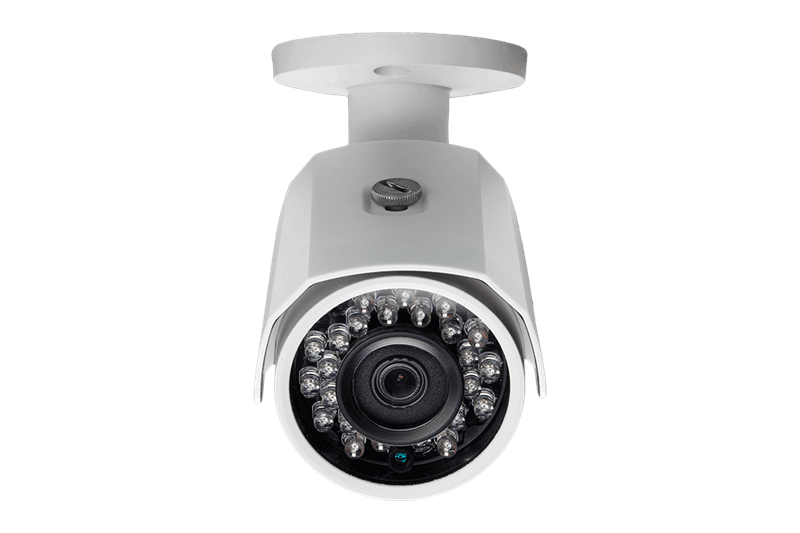 Vandal resistant design and lightweight polycarbonate housings ensure that these security cameras are a worry-free choice for everyday security monitoring. 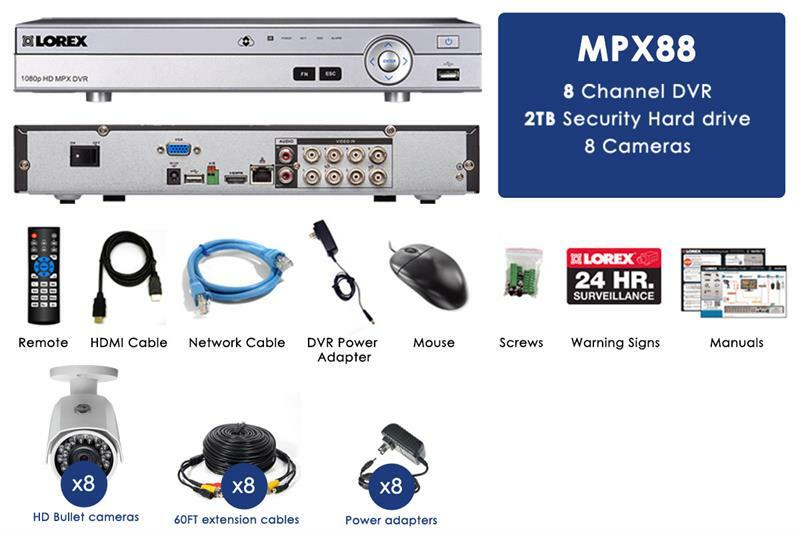 The 2TB security grade hard drive in the MPX88M’s DVR is engineered to handle the high workloads demanded by HD security monitoring systems. This hard drive can save weeks (even months) of reliable security footage. Record at a lower resolution or program scheduled recording times to maximize hard drive space. The motion-triggered recording option saves additional storage space by constantly keeping watch, but only recording when movement is detected. Record and capture all the details, don't miss out anything. Full HD resolution with accurate color reproduction brings your recorded video to life. 3. HDMI output (1920x1080) HD for high definition multi-channel live viewing only. 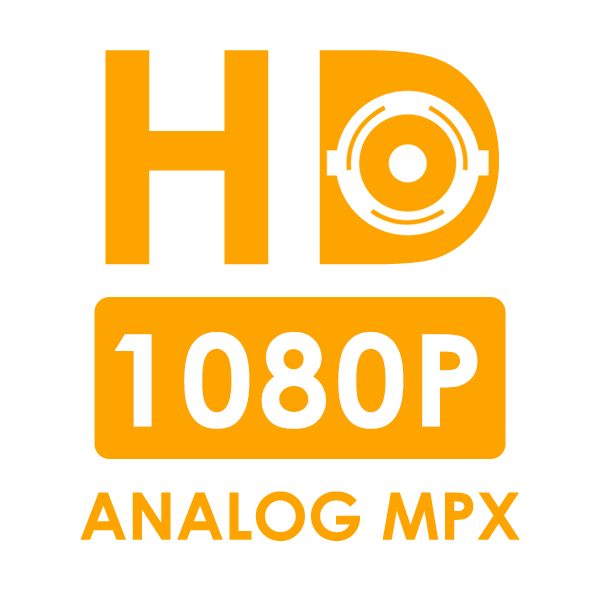 1080p recording resolution is limited to a maximum of 1920x1080 per channel. Image quality and resolution is dependent on the type of camera connected to the DVR. 6. 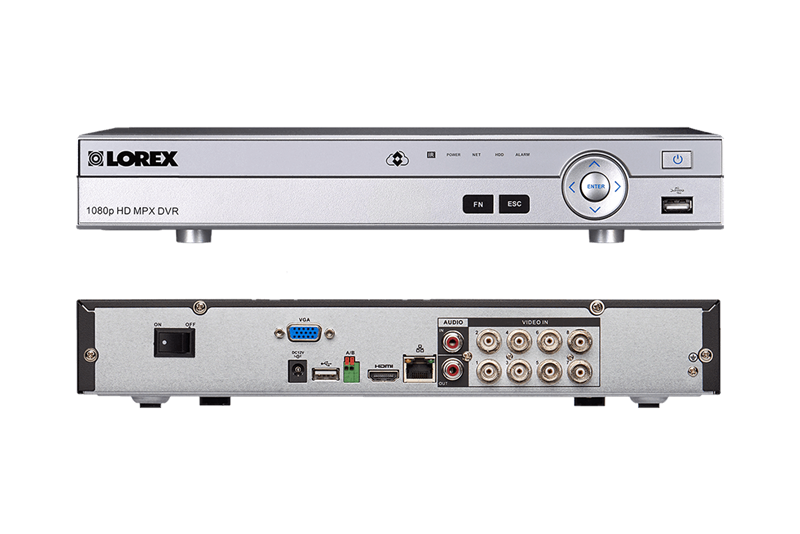 1080p MPX cameras are compatible with 1080p MPX DVR recorders only. For a list of compatible recorders please visit www.lorextechnology.com/support. 7. Stated IR illumination range is based on ideal conditions in typical outdoor night time ambient lighting and in total darkness. Actual range and image clarity depends on installation location, viewing area, and light reflection / absorption level of object. In low light, the camera will switch to black and white. 8. Not intended for submersion in water. Installation in a sheltered location recommended.